A behind the scenes look at the world of the production and producing for some of the television legends of yesterday and today. The book chronicles the illustrious career of Kent McCray from his days at Hartt School (University of Hartford), running the Central City Opera House , working in Live Television then into film. During the apex of his career McCray has worked with television greats as Bob Hope, Red Skelton, Groucho Marx, Ralph Edwards, Michael Landon and many others. McCray shares his experiences which led to his being head of the production and producing his caliber of television entertainment still being aired today to an ever-growing vast audience around the world. "There should be a saying: 'behind every successful man is Kent McCray.' Kent was not only my Dad’s best friend and like a brother that he never had, but he also helped build the foundation to my Dad’s success. Kent knew my father inside and out, and they always had a friendship that was built on love, mutual respect and admiration for each other. In this book, Kent gives you the behind-the-scenes look into his illustrious career working with the greats, from Bob Hope, Red Skelton and Groucho Marx to my father Michael Landon, and many more! Kent’s storytelling and sense of humor is brilliant, and you will understand why he had such success as head of production for so many years in television entertainment. There are so many great stories from this man that I hope a second book is being written!" Ask people who Kent McCray is and the question will draw a blank stare. Ask people if they remember Bonanza, The High Chaparral, Little House on the Prairie and Highway to Heaven, and a smile will invariably come to their faces as they recognize the titles and share how these beloved shows influenced their lives. In fact, all four series are still being broadcast 30 to 55 years after their original debuts. They are more than historic; they are iconic because they continue to reach out to new generations of viewers on a global scale. It all started in 1951. The world was no longer at war; peace-time technology focused on the new medium of television; and AT&T connected the East and West Coasts via coaxial cable creating an explosion in television programming and broadcasting. This was the stage Kent McCray entered in that same year. A live stage. One that put the young NBC production specialist among the likes of Red Skelton, Milton Berle, Ralph Edwards, Groucho Marx, and Bob Hope. He became part of the history of television as it evolved from live TV to videotape to film, from black & white to color. Kent McCray shares stories that span 50 years of television including production obstacles and solutions, his extraordinary collaboration with Michael Landon, and his legacy of philanthropy, all against the backdrop of current events that helped shape the television industry. Join Kent McCray as he revisits his incredible life and works that live on to this day. My whole memory of going to my dad's office was that I could hear Kent and my dad laughing down the hallway before I even reached the office. Those two always had so much fun together. Really, I think Kent brought such joy to my dad outside of his regular family. I always did think of Kent as a brother that my dad never had, never got to grow up with. Because my dad grew up in such a dysfunctional home, I think it was really important to him to establish such a wonderful, close friendship with a man like Kent. I'd like you to know how much I value your work, your knowledge, your expertise, and especially your friendship. We made 430 great, hour long episodes together. We ran for 14 beautiful years on NBC, together. We broke all sorts of records along the way, together. The point is, my dear friend, none of this could have been accomplished without you. You solved every difficult, impossible production problem, and in the process, you built what were acclaimed the best crews in the business. That goes for Bonanza and perhaps even more so for The High Chaparral. You became the uncrowned King of Tucson, Arizona. And, you did all this with grace, with consistent good humor, with never-ending patience and tolerance and understanding. Our crews loved you, respected you, were fiercely loyal to you. How else can one explain bringing in 430 Bonanzas and 100 High Chaparrals on time, and on or under budget? You made friends for Bonanza and High Chaparral wherever we went, and they remain friends to this day. 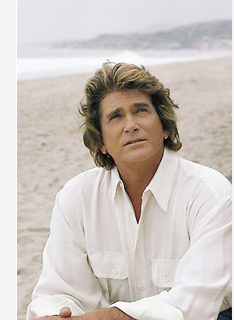 You then went on with our beloved friend Michael Landon, and successfully helped bring glory to television with more decent, wholesome, family-oriented shows like Little House on the Prairie and Highway to Heaven. You, and your darling Susan, brought more new faces to television, more fresh and exciting new talent, than any husband and wife team in the industry. You're still at it, big man. Bonanza and The High Chaparral is a testament to your handiwork, your skill, your great, wonderful heart. There's never been another like you, Kent. Those of us who have worked with you are blessed to share your beneficent presence. 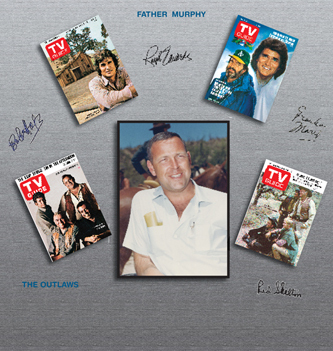 The autobiography "Kent McCray: The Man Behind The Most Beloved Television Shows" (Ingram Sparks Publishing)—a behind-the-scenes look at producing and production for television legends—written by Marianne Rainer-Holmes and Kent McCray was released on September 18, 2017, and featured its first book signing at TV’s “High Chaparral” 50th Anniversary at the Marriott Hotel in Burbank, California on Thursday, September 14, 2017. As told to Rittner-Holmes over a period of three years, the book conveys McCrays’s 50-year journey in television in his own words. Kent McCray was an NBC producer and production manager for iconic shows: “Bonanza,” “High Chaparral,” “Little House on the Prairie” and “Highway to Heaven”—all four series are still being broadcast 30 – 55 years after their original debuts. McCray’s historic five-decade career features experiences and anecdotes working amongst late legends Red Skelton, Milton Berle, Groucho Marx, Bob Hope and Michael Landon, amongst others. McCray says, “Most of the books you read are about actors. A lot of them don’t get into the nuts and bolts of what it takes to do the job and that’s what I’ve tried to relay.” Michael Landon's daughter, Leslie Landon Matthews says, "There should be a saying: 'behind every successful man is Kent McCray.' Kent was not only my Dad’s best friend and like a brother that he never had, but he also helped build the foundation to my Dad’s success. Kent knew my father inside and out, and they always had a friendship that was built on love, mutual respect and admiration for each other. In this book, Kent gives you the behind-the-scenes look into his illustrious career working with the greats! Kent’s storytelling and sense of humor is brilliant, and you will understand why he had such success as head of production for so many years in television entertainment. There are so many great stories from this man that I hope a second book is being written!" McCray candidly shares his experiences, which led him to being head of production and producing his high caliber of television entertainment that is still being aired today to an ever-growing audience around the globe. He also details his own personal love story with his wife, casting director Susan McCray, who discovered the likes of Giovanni Ribisi, Paul Walker, Rob Lowe, Jason Bateman, Shannen Doherty, Todd Bridges, and more. 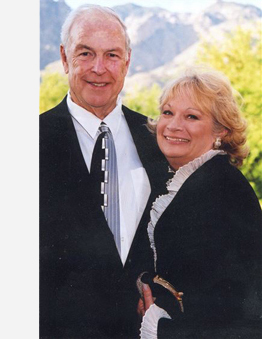 They met through their work and had a successful working relationship that led to more than 30 years of marriage. There will also be other surprise guests in attendance. Kent's book is available in hard cover on Amazon, AmazonUK, Barnes and Noble and select retailers around the United States for $29.95.